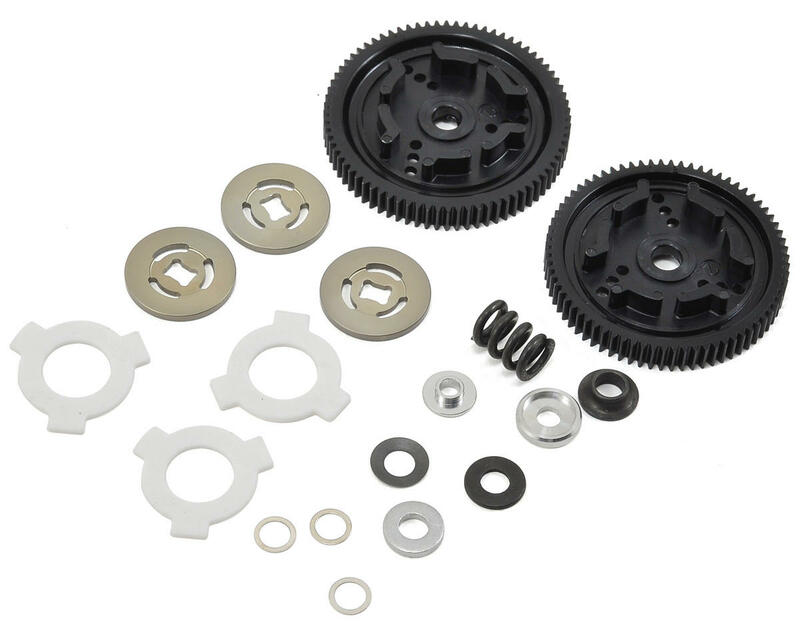 This is the optional Avid RC "Stock" Triad Slipper Clutch. The Avid Triad Slipper is a compact system that uses 3 vented drive plates and 3 slipper pads to provide a more consistent driving feel, longer clutch life, and reduced rotating inertia. The Triad delivers 20% more torque capacity in a smaller package, with lower rotating mass and will not suffer from lock-ups due to high pressure like other slipper systems. The Triad slipper has been tested by World Champions and they all agree that the Triad is the future. So if you want the best performance from your Associated or TLR 22 vehicles pick up a Triad and feel the difference. Includes updated vented self centering slipper plates! Direct fit on the B4.1, B44.1*, and TLR 22 families of cars and trucks. B44.1 requires 3 standard axle shims (ASC7368) for proper fit. Not included. 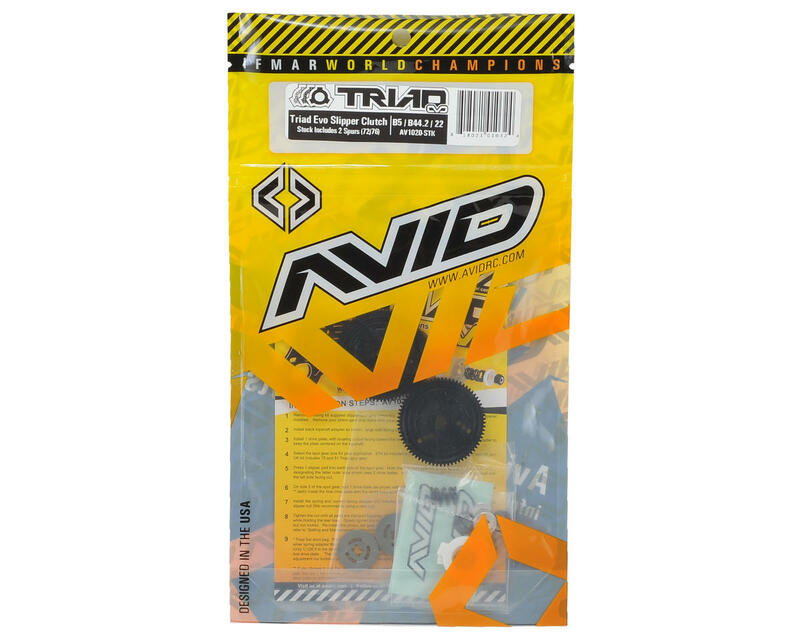 I have used the Avid Triad slipper for a few years. This new version with the vented plates take the slipper to a new level of consistency. I highly recommend this for stock or mod. I have run this slipper in my 2wd Kyosho, Team Associated and Team Losi cars/trucks. Great part! Set it and it stays consistent lap after lap. Much, much better than the stock AE slipper. Been looking for a better slipper and I cant tell you how good this one is. The tuning aspect is amazing, being able to mix match pads to make your car handle different surfaces. I have been running this in my 22 now for about a week now and have been able to consistently run faster lap times. I recommend getting the Avid top shaft with it. Put it in a TLR 22 with the topshaft. Ultra smooth! Avid makes quality products! !